Wacken Winter Nights: Beer of The Gods at Wacken Winter Nights 2019! Beer of The Gods at Wacken Winter Nights 2019! If you visit a festival you are mostly used to one or another standard beer. But Wacken Winter Nights is by no means a standard festival and because of this we have teamed up with the Wacken Brewery which do worship the nordic pantheon with their BEER Of THE GODS creations! Our official festival beer is a delicious brew called Sleipnir which is named after Odins eight legged horse. 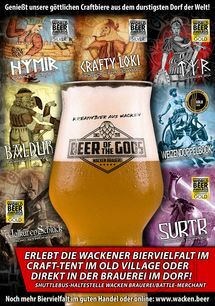 But there will be more craft beer creations from the house of BEER Of THR GODS which you can taste at Wacken Winter Nights. The Old Village houses a craft beer tent in which you can taste beers like SURTR (Smoked Porter), TYR (IPA), the "Walküren Schluck" (Nordic Strong Ale) and many other creations. 2 times a day there will be a beer tasting inside of the tent! If that's not enough you can visit the Wacken Brewery with one of out shuttle busses (or by feet) and combine it with a visit at the Battle Merchant! And if you can't wait you can order a tasting package. 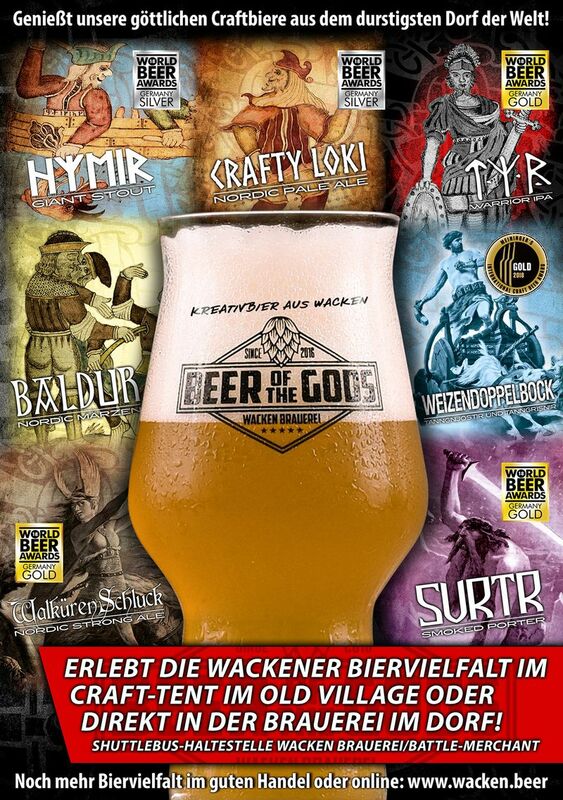 All further information about BEER OF THE GODS and the onspot actions can be found here!